You get all the opponents cards and you get $1,000,000. 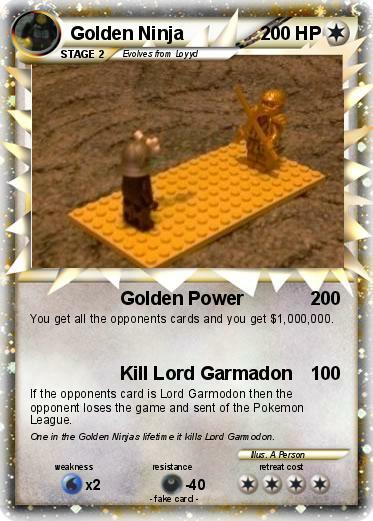 If the opponents card is Lord Garmodon then the opponent loses the game and sent of the Pokemon League. Comments : One in the Golden Ninjas lifetime it kills Lord Garmodon.